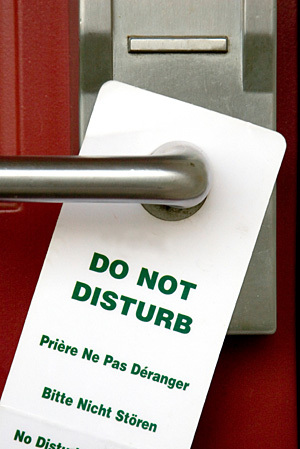 Could 'Do Not Disturb' be the key to employees’ digital wellbeing and CSR? Employee happiness; it’s a pretty important thing these days. It isn’t just a fluffy, nice-to-have feeling for employees. It’s a business necessity. Without it, employees don’t feel a strong connection to their employer’s mission and values. And when that happens, it means employees are disillusioned, don’t feel supported and recognised for good work, and are less likely to stick it out long-term with their employers. That’s what I call a recipe for turnover disaster. But in reverse, when employees feel strong mentally and feel like they enjoy working for their employer, it improves morale. There’s also this phenomena called tech addiction. We live with our smartphones glued to our hands -- checking social updates while on the train, sending messages to friends and family 24/7, emailing colleagues while on the go, taking and posting selfies at every chance we can and so much more. So it shouldn’t come as any surprise that the average adult spends 5.9 hours per day with digital media -- that’s up from 3 hours a day, according to Mary Meeker’s 2018 Internet Trends Report. It’s not a question of whether tech addiction exists -- it does; that’s a fact. And as employees, it can be easy to feel a sense of pressure and expectation that they’ll respond to emails outside of working hours. As much as digital and mobile technologies may be the culprit of our tech addiction, they’re equally capable of finding a solution to the problem. It’s now a question of how tech companies, employers and end users (employees) can be proactive about disconnecting. This is where digital features like Do Not Disturb can be a critical tool in these efforts to improve employees’ digital wellbeing. I strongly believe in the need and value of employees switching off during non-work hours in order to cut down on stress, reduce anxiety, foster personal growth and nurture relationships. We recently surveyed over 1,000 non-desk workers in the retail, hospitality and entertainment industries and the findings support this. For example, 30 percent of the respondents said their number one fear about using messaging apps and social media sites for work-related matters is that it makes it problematic to maintain work/personal life boundaries with 24/7 messaging. Plus, another 21 percent of the respondents worried about being contacted during non-work hours. When non-desk employees, who typically work 6 days a week and in 10-12 hour shifts, are bombarded by a barrage of non-stop messages at all hours of the day and night, it can create the regular expectation that they should be available during non-work hours; and able to respond quickly, regardless of what they may be doing. That regular expectation can lead to heightened levels of anxiety, stress and even fractured personal relationships. Think about it in the context of doctors and nurses, for example. These types of non-desk employees may go home after their shift has ended, but the work can often continue when they get there. They might have to review patient files, X-rays, MRI scans and so much more. They still have ‘after-work’ work and for this reason, they might end up having to be available at all hours of the day and night. This pressure to respond to messages could heighten their levels of stress and anxiety. For me, the great thing about digital Do Not Disturb features is that it gives employees the chance to condition themselves mentally to disconnect on a regular basis. Will it happen overnight? Probably not. Will they waiver and check messages during non-work hours? Probably. But if they start to create a regular habit and schedule their Do Not Disturb time regularly within the feature, they will hopefully get to a place where they’re switching off to de-stress and nurture personal relationships in their lives. Now with 'right to disconnect' and 'anti-stress' laws already enforced, or being proposed, in countries the likes of France, Germany and the United States, this type of digital feature becomes a vital tool in helping companies deliver on this basic employee right, while also ensuring compliance to such employment laws. At the end of the day, regulations exist to protect people’s rights and in the case of 'right to disconnect' laws, they exist to protect the rights and the mental health of employees. Because of the always-on nature of our lives and the introduction of new technologies every day, these types of laws are even more important. I’m proud to be one of the tech innovators that’s built this type of Do Not Disturb feature into our own employee communications platform. From my perspective, if we build technology that drives instant, relevant and engaging communications with employees, there needs to be some way to regulate it. 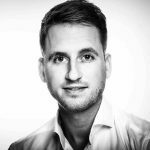 Patrick Van Der Mijl is the Founder of Speakap, an internal communications platform that enables organizations to reach, involve and connect all employees -- regardless of their physical location within the business. Speakap is used by more than 350 organizations around the globe- including some of the biggest names in retail and hospitality.